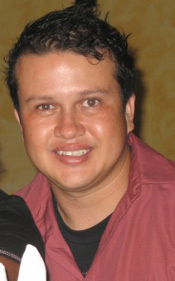 Rubén Leonardo Pineda Méndez became a GOJoven Fellow at age 25. His professional experience includes working as an accountant and office manager for the Puerto Barrios office of Association Gente Nueva, a national non-profit organization focused on HIV/AIDS prevention and treatment. Rubén participated in a Red Cross project focused on family planning and HIV prevention, replicating what he learned in schools throughout Izabal. Rubén was treasurer of the Izabal Network to Prevent STIs and HIV, which works closely with the Izabal Health Department. A strong advocate for the rights of people living with HIV/AIDS, Ruben hopes to continue in this field and to develop an ornamental fish business to help provide for their economic self-sufficiency.